MetaMedia Redesigns SMOHIT’s Website to Improve Sheet Metal Worker Access to Critical Health and Safety Resources - MetaMedia Training International, Inc.
January 20, 2016 – FREDERICK, MD—MetaMedia Training International, Inc. (MetaMedia) recently completed the redesign of the Sheet Metal Occupational Health Institute Trust (SMOHIT) website. 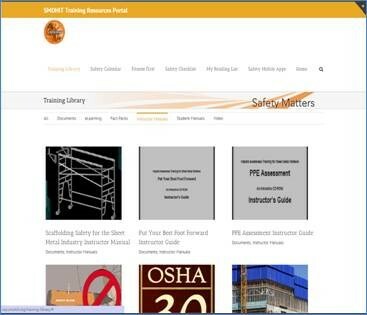 The new website (www.smohit.org) is packed with essential training materials, news and information. It’s easy to navigate and user friendly design provides sheet metal workers with quick, mobile access to critical safety and health tools, apps, and resources. SMOHIT’s newly redesigned and modern website offers a complete Training Library with tools including safety training videos and resources for accessing screenings and improving worker wellness. Other need-to-know information includes current sheet metal news, training programs, apps, videos and many other resources that promote wellness and safety in the workplace. SMOHIT provides industry-leading health and safety solutions to minimize occupational illnesses and injuries for sheet metal craftsmen. SMOHIT serves more than 216,000 members of the International Association of Sheet Metal, Air, Rail and Transportation Workers (SMART) and 4,500 members of the Sheet Metal and Air Conditioning Contractors’ National Association (SMACNA). To see a more detailed view of the SMOHIT website redesign, please visit our Health and Safety Portfolio section. Posted in Press Releases and tagged CMS, construction trade skills, education, mobile app, multimedia, occupational health and safety, sheet metal, smohit, training, union, website design, website development, WordPress.